Lydia Helen Chief was born in Onion Lake, SK. on June 20, 1950 to Norman and Alvina (nee Naistus) Chief. She was the 4th of 17 children. 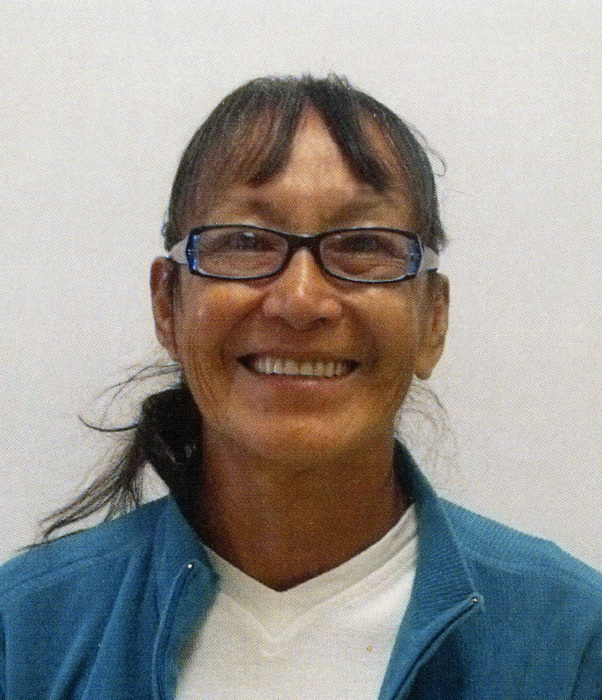 Lydia was a loving and caring mother, sister, kokum and friend. She was an avid beader and loved going to traditional ceremonies such as round dances and sundances. She always welcomed everyone with a hug and a smile. She made sure her visitors felt welcomed and she would serve to make them feel at home. She loved being around her siblings and telling her old stories. She grew up working on her parents farm helping with the chores along side of her siblings. Her favorite foods were pig feet, rabbit (wapos), pork chops and jowls and bacon. She loved all of her children, grandchildren and great-grandchildren dearly. She is predeceased by: her parents, Norman (1983) and Alvina (2016) Chief; her paternal grandparents, Jimmy (1984) and Amy (1962) Chief; her maternal grandparents, Mary Quinney (1996) and Joseph Naistus (1962); her sisters, Norma Chief (1999) and Betty Chief (2018); her brother, Arnold Chief (2016); her nephews, Donovon Chief (2003), Ferdinand Naistus (1994), and Carlyle Chief (1981); her nieces, Particia Chief (2016), Sandy Chief (2007), Candace Chocan (1991), and Juanita Naistus (1975); her grandchildren, Jordan Rabbit (2016), Jeneane Chief (2012), Richauna Chief (2014), Kenly Chief (2006), and Desiree Chocan-Stanley (2014). Lydia leaves to mourn: her children, Denzil Chief (Cheralyne Weekusk), Caroline Chief (Sean Boechler), Judy Lynn Skeenum (Lance Kammer), Fred Chief, and Andrea Chief (Kyle Awasis); her siblings, Lorraine (Raymond) Chocan, Roy Naistus, Susan Chief, David Chief (Carma), Charles (Beatrice) Chief, Clifford Chief, Viola Chief, Marilyn Chief, Arlene Chief, Eleanor Chief, Elaine Chief, Lyle Chief (Anna), and Karen Chief (Quinton); her half brother, Peter Chief; her adopted brother, Kerry Stanley; her adopted sisters, Vivian Tobler and Freda Chief; her 16 grandchildren, her great grandchildren; and numerous nieces, nephews, and other relatives.